Paul Heiney's lavishly illustrated book warrants a well-deserved place in the chart table and has plenty of general interest for those seeking inspiration for their next cruise. Cape Horn and Antarctic Waters is another stunning and beautifully produced publication from the RCC Pilotage Foundation. 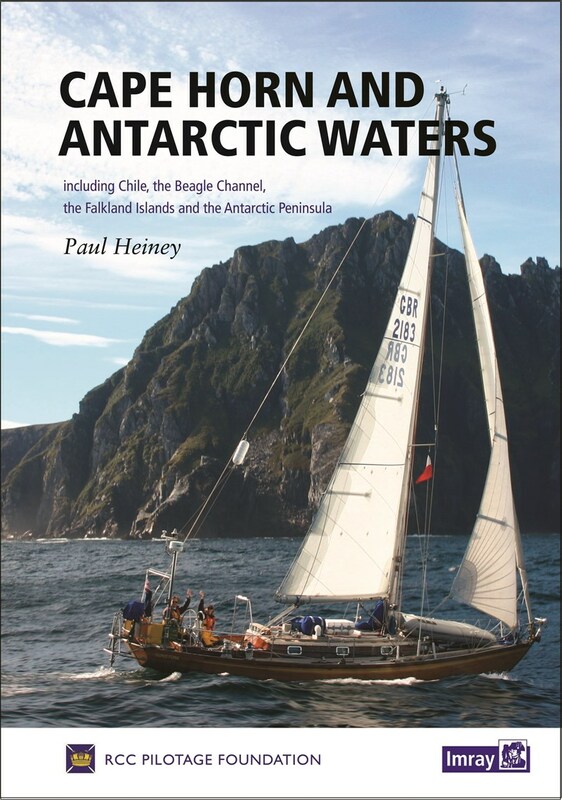 Similar in scope and style and to the Foundation’s widely acclaimed Arctic and Northern Waters, it covers the spectacular cruising grounds around Cape Horn, including Chile, the Beagle Channel, the Falkland Islands and the Antarctic Peninsula, together with invaluable chapters on preparing for cruising in the area, and approach routes from both the Atlantic and Pacific. In writing the guide, broadcaster and author Paul Heiney has drawn not only on his own considerable experience, but also brought together contributions from a wide variety of renowned sailors such as Sally and Jerome Poncét, early pioneers of sailing in the Antarctic Peninsula, and Ewen Southby-Tailyour whose surveys of the Falkland Islands played a pivotal role in the 1982 war. Paul Heiney wryly notes in the opening paragraph of the book that “[this is] ... a cruising guide in which danger lurks on almost every page”. Faced with an introduction like this, one might be tempted to think that this is a book solely for the diehard Southern Ocean cruiser. Whilst it will be an fantastic resource for anyone cruising, or planning to cruise in the area, it would be a mistake to conclude that its appeal ends there. The guide is lavishly illustrated with a stunning array of photographs, some of which are double page spreads, together with a beautifully illustrated section on wildlife on the Southern Ocean. Add to this a wealth of interesting historical asides scattered throughout the text, and some fascinating snippets like the Falkland Island Diddlebee berry has a taste like Campari, and you have a guide which that would make a perfect companion for anyone travelling in the region, whether it be by yacht, cruise ship, or independent travel. In short, Paul Heiney and the Pilotage Foundation have done something that many attempt, but very few succeed, namely producing a guide which contains sufficiently detailed pilotage information to warrant a well-deserved place in the chart table, whilst having enough of general interest that you could easily browse through the book whilst sitting by the fireside at home seeking inspiration for your next cruise or travels.